Education Highlight - BGSU Eric Buetikofer - United States Vets Inc.
As part of our continuing series of interviews with local colleges in conjunction with the 2018 George E. Prokus Veterans Education Fund, we interviewed Eric Buetikofer, Academic/Military Advisor from Bowling Green State University Nontraditional and Military Student Services Department. In this issue, we asked him to share his insight as a rep and what BGSU offers the veteran. What’s the career outlook like for veterans? What should they be focusing on? What does BGSU’s veteran program offer that is uniquely special? BGSU has a number of veteran-preferred employers that we work with. I highly recommend new students start attending career fairs as soon as they start school rather than waiting until their final semester before graduation. What are the most commonly asked questions by veterans when they meet with you? The most common question I get is, what will my benefit cover at your school. This is a great question to ask is can be difficult to answer. There are a number of military education benefits out there and most prospective student qualify for more than one. Vet reps like myself can help them determine what benefit or combination of benefits will give them the best bang for their buck. If a vet was considering applying to college, what should be in their portfolio? As prospective students are preparing for college it is important that they have all their application materials in order. If you have attended other colleges or universities you need to be prepared to request official transcripts be sent to the school you are applying to. It is also important to remember to submit your military transcripts. You can obtain college credit for your military experience. The Air Force has the CCAF transcript and all other service branches utilize the (JST) Joint Services Transcript. Both are free to request. When prospective students are looking to attend a new school there are two tracks that are part of the application process. The first is the student track that includes filling out an application, submitting transcripts and upon acceptance attending an orientation to schedule classes. The second track includes applying and accessing military education benefits. This can sometimes be the most important track because applying for education benefits can be time consuming. The earlier a student starts the process the better. It can take up to eight weeks from the initial VA benefit application to receive a Certificate of Eligibility, a document needed to use VA benefits at any school. Vet reps like myself can assist prospective students with everything mentioned above. We more or less act as alternative front doors to college or university. Eric also shared that BGSU has a number of special programs available to military affiliated students. One of our most well-known is our PAVE (Peer Advising for Veteran Education program). This is a peer advising program all new military affiliated students are enrolled in their first semester at BGSU. We find that our upperclassmen peer advisors can make the transition to school much easier for new students and allow them to be more successful at BGSU. We also have several programming activities available to students that include resume workshops among others. The Nontraditional and Military Student Services is open to all prospective and current Military affiliated students. 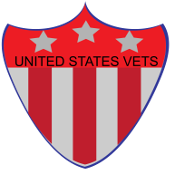 In order to better serve the vet population, they have extended office hours on Tuesday and Wednesday until 7pm. Otherwise the office is open M-F 8am -5pm. Reps prefer that students make an appointment by calling 419-372-8136 but they can easily accept walk-ins. Most students start the conversation with an email NTMSS@BGSU.edu or a phone call. What’s the best piece of advice you would give a collegiate vet? Managing your finances is key when starting school. All students using a VA education benefit for the first time when attending a new school experience a delay in initial payment that can last up to three months. Back pay is always given with the initial payment but this loss of income can be detrimental to a new student’s success. Paying for necessities such as rent, utilities, and food is important but there are other fees that a new student needs to consider such as purchasing textbooks and a parking pass. United States Vets Inc. would like to thank Eric and the Bowling Green State University’s Nontraditional and Military Student Services Department for sharing this valuable information with our collegiate veterans. To learn more about the university and the veterans department, go to www.bgsu.edu/Veteran. Applications for the George E. Prokos Veteran Education Fund are now being accepted. United States Vets Inc. awards $5,000 each year to a collegiate veteran currently enrolled or accepted to an accredited college. This fund helps to offset the financial challenges that the veteran student faces and are not covered by any benefits. Application and guidelines can be found at our website.